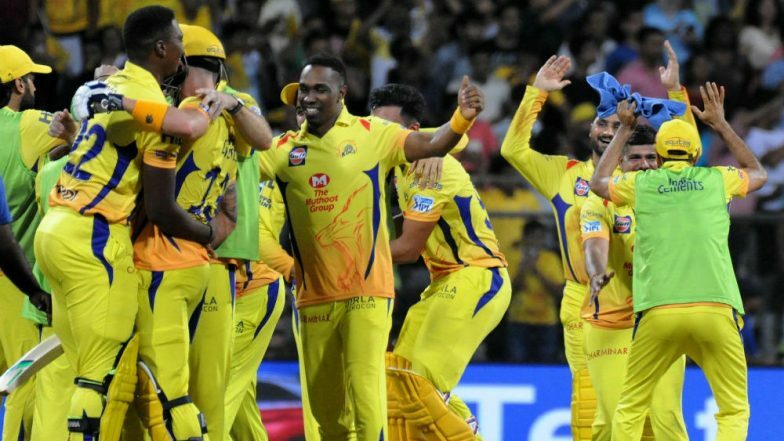 Chennai Super Kings (CSK) are all geared up to take on Mumbai Indians (MI) in the match no 15 of VIVO Indian Premier League (IPL), 2019. This match will take place at Mumbai' home ground Wankhede Stadium. Chennai team ahead of their clash with Mumbai team shared a video, in which their players Suresh Raina, Harbhajan Singh and Dwayne Bravo had a fun practise session with MI skipper Rohit Sharma and his men while training at Wankhede. IPL 2019 Today's Cricket Match: Schedule, Start Time, Points Table, Live Streaming, Live Score of April 03 T20 Game and Highlights of Previous Matches! The Whistle Podu army have all reasons to cheer up, as their team CSK has been doing well this season too. Last year Chennai defeated Sunrisers Hyderabad (SRH) in the final. This year they are looking more stronger with three wins in a row. Chennai won their last match against Rajasthan Royals (RR) by 8 runs and sits on top of the point table with 6 points. MS Dhoni, the captain of CSK team was awarded the Man of the Match for his inning of 75(46) against RR. Chennai team bowlers Dwayne Bravo and Imran Tahir are in good form as they both play a vital role in their team's victory. Ahead of MI vs CSK, Mumbai Indians Share Quinton de Kock's Impressive Wicket-Keeping Drill Video; Dhoni Fans Better Watch Out for Him in IPL 2019 Match 15! Speaking about Mumbai Indians, they will have to work on their batting issues. Mumbai team is struggling to get a good partnership in the middle, which is hitting their total inning score. Mumbai team lost to Punjab in their previous game at Mohali, where they were unable to defend the total of 176 runs. MI paltan will hope their team to win against CSK and move to four points.